I wrote an Ash Wednesday Message for our youth ministry last year and thought that it might be helpful to some of you searching for words right now. Since I’ve only been drinking water this year, I’m learning how fasts work. I’m learning that really I’m not the one reaching out to God–not even in prayer–but that God is the one reaching out to me, speaking to me, and that it’s up to me to be aware and polite enough to give God that reign. I’m not so much the seeker or initiator. I’m not the one who loves more greatly. God is constant and always speaking. The question is constant in the same way, am I listening? Am I open to hear? Am I open to awe. Awe is the way of of walking into the mysteries. Awe is awareness of our dignity as created beings so precious to the Creator. Ash Wednesday gives us a yearly opportunity to mourn over the poison of the human heart but also to be reminded that God has not and will not leave us in it. God will lead us and will not leave us. God hopes that the things that are bigger than us will bring us closer to him. We can lead our kids, students in our ministries, people in our small group, and even ourselves to consider how we can deny ourselves a little more for the next 40. That space makes room for the enoughness of God’s love, forgiveness, and purpose. What do you do with the worst day ever? What do you do with the pain or heavy burdens come your way? What do you do with the challenges you face when you say yes to something BIG? You lean in closer to it, you find the edge of it and grow closer to the God who loves you, leads you, and will never leave you. This is a message about how to do that, a stand-alone sermon that can be used at anytime but one I use it at the start of Lent. 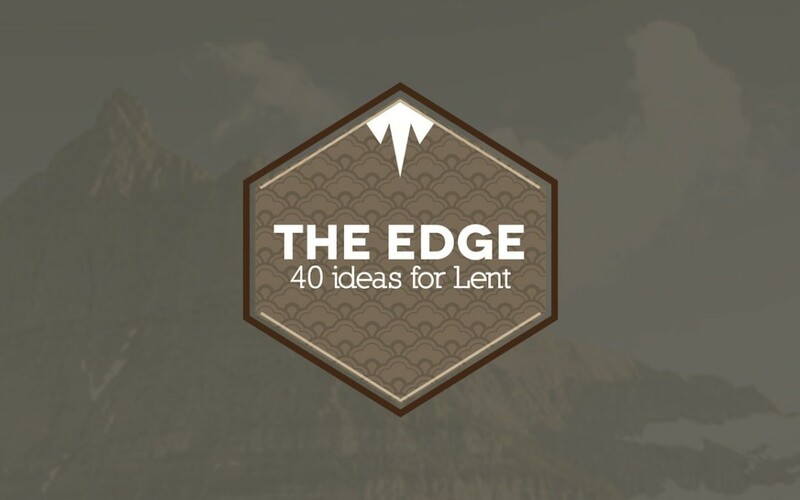 Also included are 40 ways to get closer to the edge (that place where intimacy and dependency on God increases) so if you’re looking for a solid list of suggestions for the season of Lent, there’s 40 of them right here, too! When we’re at the edge, whether it be the things we face or the things we say yes to–we know that we’re perfectly positioned in the work for closeness and dependence on God to grow.